Jean Monod was born on September 5, 1765, in Ambilly, a small village half-way between Annemasse (Haute-Savoie) and Geneva. He was the eldest son of Gaspard Joël Monod (1717-1782), a former pastor and chaplain of the British governor of Guadeloupe, who had retired to Geneva as a translator and man of letters, and his wife Suzanne Madeleine Puerari (1739-1799), whom he had married in 1763. All his life, Jean was committed to Geneva, which he considered to be his home. Jean received his first school training by his father (he later said that his “first education, of which his father took care, was faster than the one you got in school”). He entered the Première in 1776, and began his literature classes in 1777 and philosophy in 1780. He then decided to follow the example of his father by becoming a minister. He began his theological studies at the University of Geneva in 1782, which was also the year in which his father died. He proved to be a brilliant student. In 1785 he defended his thesis on The gift of tongues; in 1786 he passed the sermon exam before the Vénérable Compagnie des pasteurs with a sermon on 1 Corinthians 4.5. He was ordained pastor on March 12, 1787. Indeed, Jean fell in love with Frédéric’s daughter, Louise-Philippine de Coninck (1775-1851) who was then sixteen years old. Having spent several months in Copenhagen, Monod finally travelled to Berlin in 1791 and then returned to Switzerland. He came back to Copenhagen in 1792 and married Louise on January 18, 1793. He was twenty-even, and his young wife seventeen years old. The young couple then left for Switzerland. Their first son, Frédéric, was born in Monnaz, not far from Morges, in 1794. In the very same year, Jean was invited to return to Copenhagen to replace one of the pastors of the French Reformed Church. He was a minister in this church for 14 years. During this period, seven children were born: Henri (1795), Adèle (1796), Edouard (1798), Guillaume (1800), Adolphe (1802), Gustave (1803) and Valdemar (1807). Jean Monod made a trip to London and Paris in 1798. He was invited to preach in the Reformed Church of Paris and made a good impression. In 1799 he lost both his mother, who had followed her son to Copenhagen, and his sister. In 1807, the British government pretended that Napoleon and Alexander I had a plan to attack England by means of the Danish fleet; it summoned Denmark to hand over its ships. The Danish government first refused, but it gave in after intense bombings. This had the effect that Danish commerce came to a standstill. The business of de Coninck’s establishment was greatly shaken. At that time, the Reformed Church of Paris had three pastors, all of whom had been appointed by Napoleon: Jacques Antoine Rabaut, also known as Rabaut-Pommier (1744-1820), Paul-Henri Marron (1754-1832) and Jean-Frédéric Mestrezat (1760-1807). 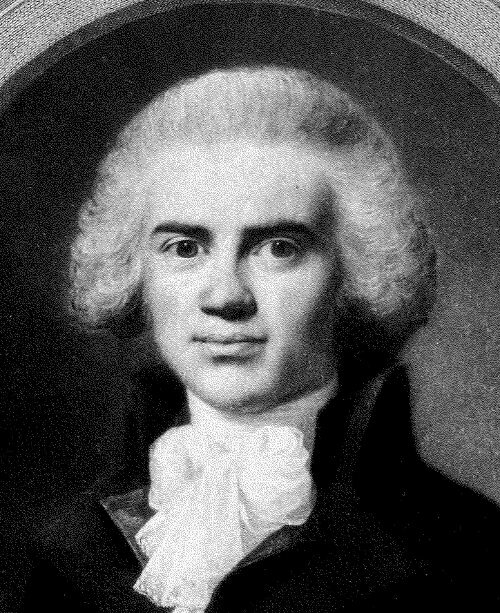 Shortly after Mestrezat’s unexpected death in 1807, the Council invited Jean Monod in 1808 to become his successor. In view of the misfortune of de Coninck’s establishment, Monod accepted this call. His family arrived in Paris on December 1, 1808. Jean was installed on December 26 by Rabaut-Pommier and gave his first sermon on January 8, 1809. He was presented to the Emperor on January 24, after the latter’s return from Spain. Five more children were born in Paris: Marie (1809), Edmond (1811, who died the same year), Horace (1814), Elisa (1815) and Betsy (1818). In 1811, his father-in-law died. According to Jean, Frédéric de Coninck was “one of the best and most lovable men who ever existed”. The University of Copenhagen offered him the titleDD honoris causa in 1817. In 1818 he assisted the ordination of his son Frédéric in Geneva. He installed him as a deputy pastor of the church in Paris in 1820. At that time, Jean Monod was a highly respected pastor; in 1820 he was awarded the Cross of the Legion of Honour. The last years of his life were overshadowed by sorrows and tensions with those of his sons who had chosen a pastoral career. Jean was a helpless observer of Adolphe’s great crisis from 1824 to 1827. When Adolphe adopted the ideas of the Awakening movement, his father, who was a representative of the religiosity of the Enlightenment, found it hard to understand. Julien-Pierre Monod, one of Adolphe’s grand-sons invokes a “gulf of misunderstanding that cannot be explained by the generation gap alone”. As to Guillaume Monod, he displeased his father by adopting the doctrine of predestination. Guillaume was appointed pastor of the Reformed church in Saint-Quentin (Picardy) in 1828. He appears to have been somewhat exalted in the exercise of his ministry, which created tensions, and announced more serious trouble to come. The problems Adolphe faced as pastor of the Reformed Church of Lyon from 1829 on also were a source of deep sorrow for his father, who disapproved of Adolphe’s hard doctrinal stance. On March 19, Adolphe was deposed as a minister of the Reformed Church of Lyon, by royal ordinance. His father greatly disapproved of his son’s subsequent activities in the evangelical reformed church of Lyon. On May 5, Guillaume was committed to a psychiatric facility after he had presented himself at the Tuileries Palace in order to transmit a divine warning to the king Louis-Philippe. After a six-month stay in the lunatic asylum in Vanves, he was transferred to the asylum in Fishponds near Bristol (England) where he was locked up for four years, until after the death of Jean Monod, whom he held responsible for this situation. When the president of the Council of the Reformed Church of Paris, Paul-Henri Marron, died from the cholera on July 31, Jean Monod was appointed as his successor. Frédéric became a pastor in title. In 1835, he made a last trip to Geneva for the celebration of the Reformation Jubilee. His health rapidly declined during the winter. Jean Monod was pastor of the reformed Church of Paris until his death on April 23, 1836, at the age of 70, as a result of a heart disease. A huge crowd of about 3000 persons, comprising 57 pastors, attended the funeral at the Père-Lachaise cemetery in Paris. During his lifetime, Jean Monod had allowed the publication of only one single sermon, celebrating the peace of 1814, but his family has kept a collection of 51 sermons in six volumes, which it has given to the Vénérable Compagnie in Geneva. The publication of a selection of sermons had been envisaged by his widow and his four sons who had become pastors (Frédéric, Adolphe, Guillaume and Horace) but the idea has finally been abandoned. Jean Monod has also left a translation of the letters of the German theologian Franz Volkmar Reinhard (1753-1812), on his studies and his career as a preacher. He has also contributed about fifteen articles to Louis-Gabriel Michaud’s Biographie Universelle, one of which dealt with his father.